Remote Viewing Apps | West Loh on Leverage, Automation and Outsourcing Strategies, 100% Free! 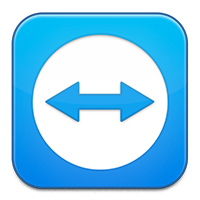 TeamViewer provides easy, fast and secure remote access to Windows, Mac and Linux systems. My Key Business Criteria For (F.A.S.T. )2 Profits! How To Find Motivation That Juices You....Permanently! Copyright © 2011 West Loh on Leverage, Automation and Outsourcing Strategies, 100% Free! All Rights Reserved.